In recent years anthropology has increasingly focused its attention on the dynamics of refusal (McGranahan 2016): from studies of Israelis who refuse to serve in the military (Weiss 2016) to the Mohawks’ refusal to recognize the state’s understanding of community membership (Simpson 2007). Scholars in medical anthropology have paid special attention to vaccination refusals, a phenomenon that has been observed globally (Bazylevych 2011; Closser et al. 2016; Sobo 2015; 2016). Within the literature of bioethics, refusals of medical treatment, specifically of life-prolonging treatments and/or blood transfusions, have constituted a recurrent theme (Craigie 2011; Savulescu 2007). Patients may refuse medical treatments for different reasons, but refusals of blood transfusion are commonly identified by both medical professionals and the public alike with the religious organization of Jehovah’s Witnesses (JWs). Nonetheless, in addressing blood sociocultural and medical anthropologists have traditionally privileged the topic of blood donations (Copeman 2009a; 2009b; Reddy 2009; Simpson 2011). In Jacob Copeman’s words blood donation is a “critical site of social change” and “act[s] as an instrument of re-composition of an array of associations, relationships and institutions” (2009a: 2). Indexing relatedness or “relationality”, blood emerges simultaneously as both an object of biomedical procedures and kinship classifications (Carsten 2011). 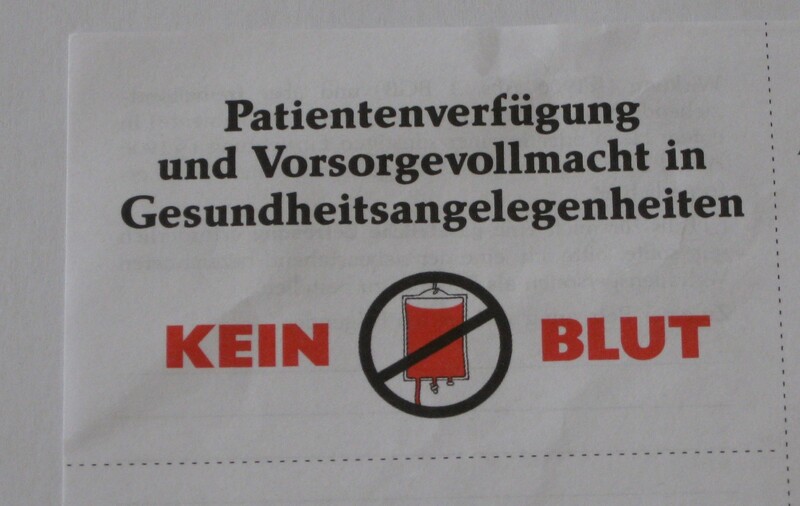 But what about those who refuse blood transfusion? This issue remains surprisingly overlooked by medical anthropologists and other social scientists. On the other hand, mainstream bioethics’ “discomfort” with refusals can be ascribed to the emphasis it places on the rational subject, who is itself a product of neoliberal philosophies and politics (Petersen 2013). Within this discourse, those who refuse tend to be viewed through the lenses of “irrationality” and “incompetency” (cf. Weiss 2016: 354-355). The notion of autonomy epitomizes ideas of self-determination and self-government valued by Western neoliberal democracies, particularly the U.S. This has started to change though. A recent “rational turn” in bioethics (Jennings 2016) has brought with it a more relational, socio-culturally embedded understanding of the individual. In this contribution, I attend to my previous fieldwork with JWs in Germany who refused blood transfusions through the lenses of two concepts: the concept of “refusal” as recently analyzed by medical anthropologists and the concept of “relational citizenship” introduced by Jeanette Pols (2016). The latter, rendered here as “relational biocitizenship” allows us to better understand the creative and productive aspects of refusal and how “refusal produces and reproduces community” (McGranahan 2016: 322; see also Sobo 2015; 2016). JWs’ attitude toward blood with its particular emphasis on “abstaining from blood” is viewed here as a “collectivizing moment” (Rose & Novas 2005) of relational biological citizenship that foregrounds relationships between citizens over that of the state and the individual (Pols 2016). 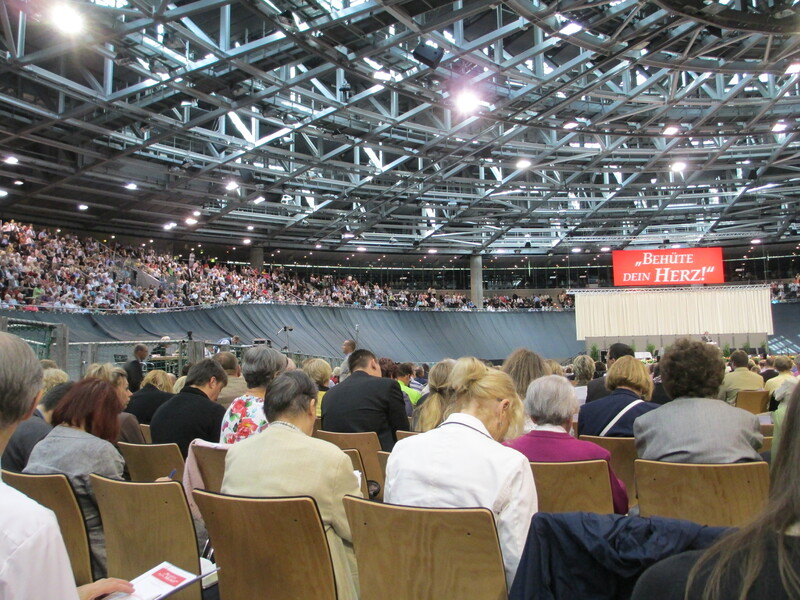 One morning in June 2012, over 7,000 people were gathered at a congress of the Jehovah’s Witnesses, officially known as the Watch Tower Bible and Tract Society, held in a velodrome stadium in Berlin (Picture 2). Formally attired Witnesses, their relatives, and other interested people attentively watched speakers and scenes enacted on stage. The human heart thematically dominated the three-day congress entitled: “Safeguard Your Heart” [Behüte dein Herz!]. This is a recurrent topic in JW publications, at congresses, and in congregational lectures. On that day while we sat in anticipation of the opening lecture titled “Why do we have to look after [our] heart?” the resounding and continual thump of a beating heart was heard throughout the stadium. An elder, as leaders of Witness congregations are called, opened his lecture with “hard” facts about the human heart, impressing us with the total count of daily cardiac cycles. Asserting that the word “heart” itself can be found about 1000 times in the Bible, he offered a close reading of its biblical meanings. The omnipresent beating heart thumped its way throughout the entire lecture. I noted a similar explanatory pattern in a series of short ten-minute lectures titled “Beware: Dangerous heart problems!” given by elders of various congregations before noon: each started with a medical description of a particular heart deficiency that was eventually likened to a paucity of favored biblical practices and attitudes. For instance, congestive heart failure [Herzinsuffizienz] was presented as half-heartedness [Halbherzigkeit] and equated to serving God (Jehovah) bereft of zeal, with only partial devotion. The following day, another lecture explicitly presented Jehovah as a healer or physician. Drawing on Psalms 147:3: “He heals the brokenhearted; He binds up their wounds” (Watch Tower 2013), an elder emphasized that Jehovah heals as a physician does. According to this speaker, Jehovah’s “actions” actually exceed physicians’ duties: He transmits hope via the Bible’s message, “our congregational meetings,” prayer, his Holy Spirit, and the hope imbued in the resurrection. Picture 2: JWs taking notes during a 2012 three-day congress held in a velodrome stadium in Berlin. The congress theme — “Safeguard Your Heart” [Behüte dein Herz!] — is visible in the background. Photo: M. Rajtar. This ethnographic vignette exemplifies the entanglements of religious and “medical imaginaries” (DelVecchio Good 2007) within a global religious movement. The program’s focus on heart and heart-related problems could reflect a “cultural bias” of German biomedicine in contrast to its American, British, and French counterparts (Payer 1989). However, the same three-day program was presented not only at 53 congresses in 20 languages within the “German branch” that encompasses Austria, Germany, Luxemburg, Lichtenstein, and Switzerland, but also at numerous congresses worldwide. In 2011, the last three countries registered 2%, 31%, and 1% growth respectively in comparison to the previous year, the global growth of JWs being 2.4% and their worldwide membership amounting to over 7.3 million (Watch Tower 2012: 44-51). The Point of Contention: Refusal of What and by Whom Exactly? He further added: “Over the last decades we have become more reluctant [to give a blood transfusion].” Hence, blood or strictly speaking, blood transfusion is ideally applied to “severe cases,” i.e. often in life-or-death situations, when its advantages outweigh its possible disadvantages. 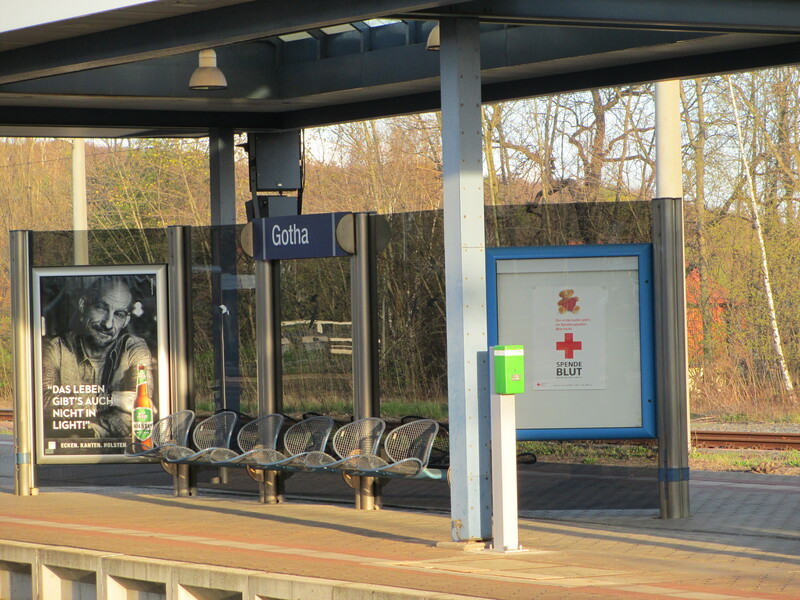 Picture 3: A poster (right) produced by the German Red Cross (GRC) displayed at a rail station in Gotha featuring a teddy bear and the slogan: “You can find your first love in a toy store. But [you can’t get] blood [there]. Donate blood at the GRC.” Interestingly, a beer producer advertised its product on a much larger ad (left). This inadvertently may recall ambivalent practices of American blood “dealers” and centers that used to sell “‘booze for ooze’ because of their reliance on derelict donors. (…) the perpetually unemployed, the down-and-out. Blood centers came to form part of the weary landscape of America’s skid rows, with winos and drug addicts lingering outside.” Although they never constituted the majority of the “blood business,” they were its fastest-growing branch for a time (Starr 1998: 221, 223ff.). Some JWs in Berlin were quick to make a similar connection between the presence of a GRC blood donation bus at the famous Alexanderplatz railway station and its notoriously derelict “inhabitants.” Photo by M. Rajtar. The issue of (refusal of) blood transfusions was discussed in more detail during one of the JWs’ annual congregational meetings I attended in 2011. In preparation for this meeting, Witnesses usually view films produced by the Society such as “Transfusion Alternative(s)” (Watch Tower 2004), now available online and steep themselves in publications on the topic such as the internal publication “Our Kingdom Ministry” (2006). According to these publications Witnesses may completely refuse both whole blood (and its major components) and blood fractions isolated from major blood components, or they may refuse a transfusion of whole blood (and its major components) while still accepting blood fractions (such as albumin, hemoglobin) and medications composed of them. Similar choice applies to medical technology such as cell-salvage and the heart-lung machine. During the meeting in which I participated, elders argued that “operations without blood are a gold standard of modern medicine,” a fact that is allegedly acknowledged by all good and experienced physicians nowadays. Witnesses were advised not only to consider their choices regarding refusals, but also to fill in their advance directives that they usually carry on their person or in their wallets along with their ID cards. The emphasis was put on a deeply considered decision on one’s “options” regarding refusals of blood and biomedical technologies. The relational turn has not only allowed for the re-conceptualization of autonomy within bioethics, but also citizenship as Jeannette Pols (2016) shows in her ethnographic study among residents of mental health care institutions in the Netherlands. 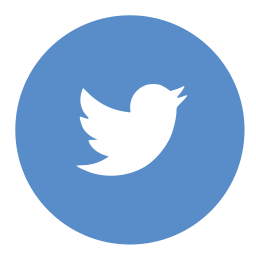 According to Pols (2016: 183), the concept of relational citizenship allows the foregrounding of “concrete interactions” as well as “forms of sociality” that are created through people’s engagement with each other and their material surroundings. Unlike autonomous citizens, for their relational counterparts “relationships, their nature, and the mechanisms that hold them together replace the idea of a sociality of people independent of others” (Pols 2016: 182). In Pols’ analysis engaging in such relationships allows people experiencing mental health problems to become citizens. The second strategy may be called a strategy “from below” that is utilized by the Society as a biosocial grouping (Rose & Novas 2005: 442) and includes the establishment of an active network of Hospital Liaison Committees (HLCs) that acts as an “information filter(s)” (Rafaettà & Nichter 2015: 1). 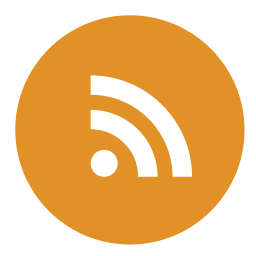 Employing literature provided by the Society, media publications (e.g. physician rankings regularly published by magazines such as “FOCUS”), and personal contacts among others, members of HLCs, all male, seek physicians who agree to bloodless treatment and pass this knowledge to JWs in need of medical intervention. They are also responsible for publicizing the Society’s position on blood transfusions and advising doctors and patients on treatment alternatives (Rajtar 2016a). Analogous to psychiatric nurses in the Netherlands described by Pols (2016) who in their role as mediators in family matters played a significant role for mental health patients, HLC members consolidate the relational (bio)citizenship of Jehovah’s Witnesses. In Pols’ words “If citizenship no longer means ‘do it on your own,’ the importance of professional support can be made visible again” (2016: 187). Emphasis on evangelizing practices as one of JWs’ characteristics adds another layer to the “relationality” of their biocitizenship. It also distinguishes them from, for instance, survivors of Chernobyl analyzed by Adriana Petryna (2002), who indeed may be examined and “grouped” primarily through citizenship claims referring to their damaged biological identity and suffering. Thus, this emphasis bypasses some criticism aimed at the understanding of “biocitizenship” according to which “to frame these mobilizing actors as ‘biocitizens’ would be to emphasize one aspect of their identity” (Plows & Boddington 2006: 117). Acknowledging this possible bias entailed in the concept of “biocitizenship,” I nonetheless find its ‘extended’ version, “relational biocitizenship” useful in illuminating Witnesses’ attitude towards blood. To abstain from blood is—like other refusals analyzed by recent anthropological scholarship—to generate affiliations and to criticize with an eye open to change. Unlike military refusal by abstention practiced by many Israeli youths analyzed by Weiss (2016), however, it is anchored in (bio)citizenship and does not “constitute an antipolitics” that “seeks to bypass the state” (Weiss 2016: 357). Witnesses’ desire to change biomedical practices of blood transfusion should eventually transform state healthcare policies that apply to them and their fellow co-citizens alike. Research was funded by the Alexander von Humboldt Foundation and the German Academic Exchange Services (DAAD). I would like to thank Professor Hansjörg Dilger and Dominik Mattes from the Institute of Social and Cultural Anthropology at the Freie Universität in Berlin for their helpful comments on an earlier version of this text as well as members of Arbeitskreis Medical Anthropology in Berlin for their support and fruitful discussions during my research stay there. My particular gratitude goes to Jehovah’s Witnesses and physicians in Germany who participated in this project. I also thank Jake Heida, my husband, for his help with English editing. Małgorzata Rajtar is an Assistant Professor in the Department of Ethnology and Cultural Anthropology at Adam Mickiewicz University in Poznań, Poland. Her research interests include anthropology of biomedicine; anthropology of ethics and bioethics; religion and medicine, and genetics. Currently she is carrying out research on rare diseases, specifically LCHAD deficiency, in Finland and Poland. She has published, among others, in Social Science & Medicine, and in Anthropology & Medicine. Bazylevych, Maryna. 2011. Vaccination Campaigns in Postsocialist Ukraine: Health Care Providers Navigating Uncertainty. In: Medical Anthropology Quarterly 25 (4), 436-456. doi: 10.1111/j.1548-1387.2011.01179.x. Carsten, Janet. 2011. Substance and Relationality: Blood in Contexts. In: Annual Review of Anthropology 40, 19-35. doi:10.1146/annurev.anthro.012809.105000. Closser, Svea et al. 2016. The Global Context of Vaccine Refusal: Insights from a Systematic Comparative Ethnography of the Global Polio Eradication Initiative. In: Medical Anthropology Quarterly 30 (3), 321-341. doi: 10.1111/maq.12254. Copeman, Jacob. 2009a. Introduction: Blood Donation, Bioeconomy, Culture. Special Issue. In: Body & Society 15 (2), 1-28. doi: 10.1177/1357034X09103435. Copeman, Jacob. 2009b. Veins of Devotion: Blood Donation and Religious Experience in North India. New Brunswick, NJ: Rutgers University Press. Craigie, Jillian. 2011. Competence, Practical Rationality and What a Patient Values. In: Bioethics 25 (6), 326-333. doi: 10.1111/j.1467-8519.2009.01793.x. DelVecchio Good, Mary Jo. 2007. The Medical Imaginary and the Biotechnical Embrace: Subjective Experiences of Clinical Scientists and Patients. In: João Biehl, Byron Good & Arthur Kleinman (eds.). Subjectivity. Ethnographic Investigations. Berkeley: University of California Press, 362‒381. Jennings, Bruce. 2016. Reconceptualizing Autonomy: A Relational Turn in Bioethics. In: Hastings Center Report 46 (3), 11-16. Kirsch, Thomas. G. 2008. Spirits and Letters. Reading, Writing and Charisma in African Christianity. New York: Berghahn Books. Klassen, Pamela. E. 2011. Spirits of Protestantism. Medicine, Healing, and Liberal Christianity. Berkeley: University of California Press. McGranahan, Carole. 2016. Theorizing Refusal: An Introduction. In: Cultural Anthropology 31 (3), 319-325. doi: 10.14506/ca31.3.01. Payer, Lynn. 1989. Medicine and Culture. Notions of Health and Sickness in Britain, the U.S., France and West Germany. London: Victor Gollancz LTD.
Penton, James M. 1985. Apocalypse Delayed. The Story of Jehovah’s Witnesses. Toronto: University of Toronto Press. Petersen, Alan. 2013. From Bioethics to a Sociology of Bio-knowledge. In: Social Science & Medicine 98, 264-270. http://dx.doi.org/10.1016/j.socscimed.2012.12.030. Petryna Adriana. 2002. Life Exposed. Biological Citizens after Chernobyl. Princeton: Princeton University Press. Plows, Alexandra & Paula Boddington. 2006. Troubles with Biocitizenship? In: Genomics, Society and Policy 2 (3), 115-135. Pols, Jeannette. 2016. Analyzing Social Spaces: Relational Citizenship for Patients Leaving Mental Health Care Institutions. In: Medical Anthropology: Cross-Cultural Studies in Health and Illness 35 (2), 177-192. doi:10.1080/01459740.2015.1101101. Rafaettà, Roberta & Mark Nichter. 2015. Introduction to the Special Issue: Negotiating Care in Uncertain Settings and Looking Beneath the Surface of Health Governance Projects. In: Anthropology in Action 22(1), 1-6. doi: 10.3167/aia.2015.220101. Rajtar, Małgorzata. 2016a. Health Care Reform and Diagnosis Related Groups in Germany: The Mediating Role of Hospital Liaison Committees for Jehovah’s Witnesses. In: Social Science & Medicine 166, 57-65. http://dx.doi.org/10.1016/j.socscimed.2016.08.016. Rajtar, Małgorzata. 2016b. Jehovah’s Witness Patients Within the German Medical Landscape. In: Anthropology & Medicine 23 (2), 172-187. doi:10.1080/13648470.2016.1180581. Reddy, Deepa S. 2007. Good Gifts for the Common Good: Blood and Bioethics in the Market of Genetic Research. In: Cultural Anthropology 22 (3), 429-472. doi: 10.1525/can.2007.22.3.429. Rose, Nikolas & Carlos Novas. 2005. Biological Citizenship. In: Aihwa Ong, and Stephen J. Collier (eds.). Global Assamblages. Technology, Politics, and Ethics as Anthropological Problems. Malden: Blackwell Publishing, 439-463. Savulescu, Julian. 2007. Autonomy, the Good Life, and Controversial Choices. In: Rosamond Rhodes, Leslie P. Francis &Anita Silvers (eds.). The Blackwell Guide to Medical Ethics. Blackwell Publishing. 17-37. Schwarz, Maureen Trudelle. 2009. Emplacement and Contamination: Mediation of Navajo Identity through Excorporated Blood. In: Body and Society 15 (2), 145-168. doi: 10.1177/1357034X09103440. Simpson, Audra. 2007. On Ethnographic Refusal: Indigeneity, ‘Voice’ and Colonial Citizenship. In: Junctures 9, 67-80. Simpson, Bob. 2011. Blood Rhetorics: Donor Campaigns and Their Publics in Contemporary Sri Lanka. In: Ethnos 76 (2), 254-275. http://dx.doi.org/10.1080/00141844.2010.564688. Sobo, Elisa J. 2016. Theorizing (Vaccine) Refusal: Through the Looking Glass. In: Cultural Anthropology 31 (3), 342-350. doi: 10.14506/ca31.3.04. Sobo, Elisa J. 2015. Social Cultivation of Vaccine Refusal and Delay among Waldorf (Steiner) School Parents. In: Medical Anthropology Quarterly 29 (3), 381-399. doi: 10.1111/maq.12214. Starr, Douglas. 1998. Blood. An epic history of medicine and commerce. London: Warner Books. Watch Tower. 2013. New World Translation of the Holy Scriptures (2013 revision). Watch Tower Bible and Tract Society of Pennsylvania. https://www.jw.org/en/publications/bible/nwt/books/psalms/147/. Last access: 26/02/2017. Watch Tower. 2012. Jahrbuch der Zeugen Jehovas. Selters/Taunus: Wachtturm-Gesellschaft. Watch Tower. 2004. Transfusion-Alternative Strategies—Simple, Safe, Effective. / No Blood-Medicine Meets the Challenge. / Transfusion-Alternative Healthcare. Meeting Patients Needs and Rights. Watch Tower Bible and Tract Society of Pennsylvania. https://www.jw.org/en/publications/videos/#categories/VODMoviesDocumentary. Last access: 26/02/2017. Weiss, Erica. 2016. Refusal as Act, Refusal as Abstention. In: Cultural Anthropology 31 (3), 351-358. doi: 10.14506/ca31.3.05. World Health Assembly. 2010. Ability, Safety and Quality of Blood Products. http://apps.who.int/gb/ebwha/pdf_files/WHA63/A63_R12-en.pdf?ua=1. Last access: 12/03/2017.